Thank you for making AMA ChalkFest a success! Enjoy a stroll down Pine Ave. and take in the unique artwork. Be prepared to be amazed by what these talented chalk artists create when they hit the street! Drop by the beer garden and sample craft beer, as well as a bevy of Georgia-grown products at the Home Grown Food Village. This truly will be a homegrown event, one that will offer opportunities for the entire community to get involved. Sponsorships also are available. 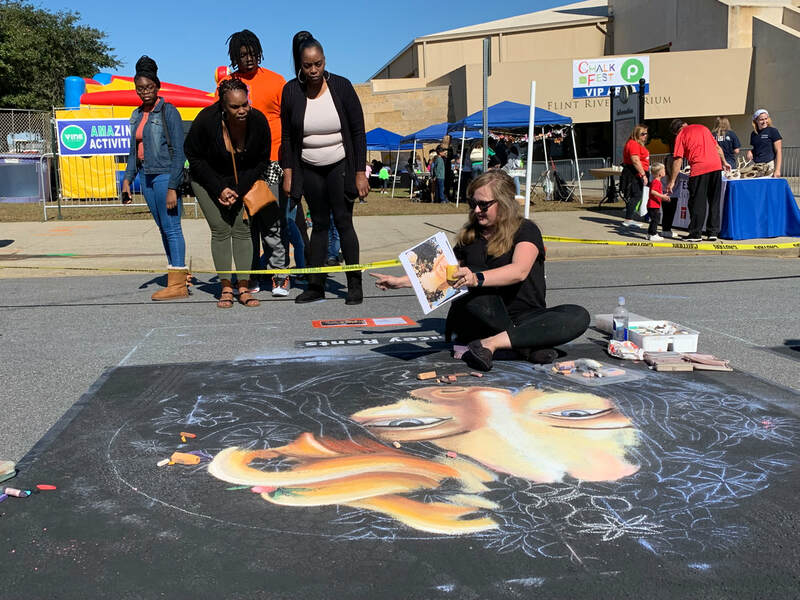 With chalk art contests, craft beer, local vendors, live music and so much more, ChalkFest is sure to become a signature AMA event for downtown Albany. Whether you're an artist, a vendor, a sponsor, an attendee, or a volunteer, there are plenty of ways to take part in the inaugural AMA Chalkfest. Interested in making your mark? Follow the link below for information on participating as a Chalk Artist in the first AMA Chalkfest. Not quite a pro but still want to show off your own chalk art skills, solo or with classmates? Check out our five amateur divisions below. What is art without an audience? Follow the link below for all the where, when and what time you need to come out and enjoy the festivities! If you're an artist, small business, food truck, or any other vendor who epitomizes this year's theme of HomeGrown, we want you there! What is art without an audience? Follow the link below for all the where, when and what time info you need to come out and enjoy our inaugural Chalkfest!